Discover library resources in support of the Paralegal Studies Program. 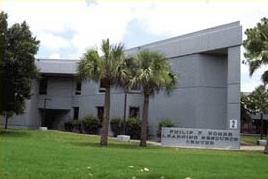 An EFSC Librarian will respond within 24 hours. Email available all hours. 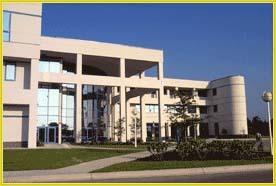 Building #2 on EFSC Melbourne campus (map). The Melbourne library collection is developed to support the curriculum offered at the Melbourne campus.. Located on the second floor of building #2 (map), the EFSC/UCF Palm Bay Campus library collections support programs offered at the Palm Bay campus. 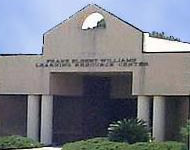 The Eastern Florida State College Titusville Library is located in the Frank Elbert Williams Building (Building #5, map). After completing the Paralegal Studies A.S. program at EFSC, graduates have the knowledge and skills that are necessary to assist attorneys in the practice of law. Paralegal duties may include legal research; drafting of memoranda, legal forms, and correspondence; client interviews, case investigation and witness interviews; case and practice management; as well as participation in trials. Paralegals work in traditional private law firms, agencies of the state and national government, offices for criminal prosecution and criminal defense, and the legal departments of corporations involved in banking, insurance, real estate, and technology. 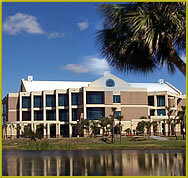 The Paralegal Studies program is offered through traditional on-campus classes in the day and in the evening. Law classes are available through distance learning, and an internship affords the student an opportunity to gain practical experience in a real world setting. Graduates are eligible to become certified through successful completion of the certification examination from the National Association of Legal Assistants. Become a Florida Registered Paralegal. Learn more here. View the New Titles List at to find out what's been added to the collection in the past month.